We are located in the beautiful Catskill Mountains of New York State. 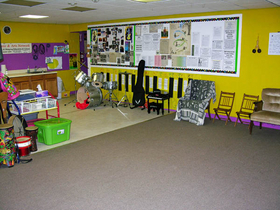 We have closed our community music center located at the Hobart Activity Center. In Oneonta, New York, we currently have parent/child classes at the Foothills Performing Arts & Civic Center located on 24 Market Street, Oneonta, NY 13820 (http://foothillspac.org/index.php/contact-us/). Robynwood Assisted Living Center is located at the Corner of Walnut & Maple street in downtown Oneonta. (Visit their website at http://www.robynwood.com). We are usually in the downstairs activity/dining room.